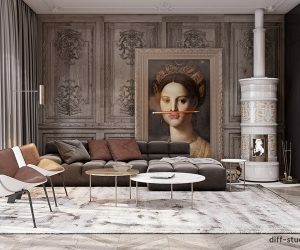 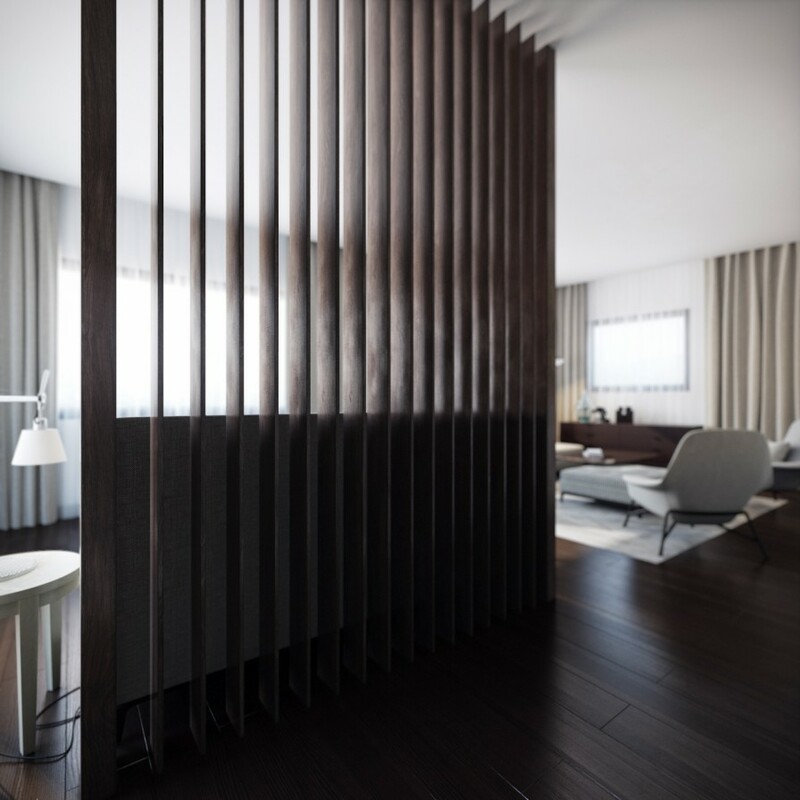 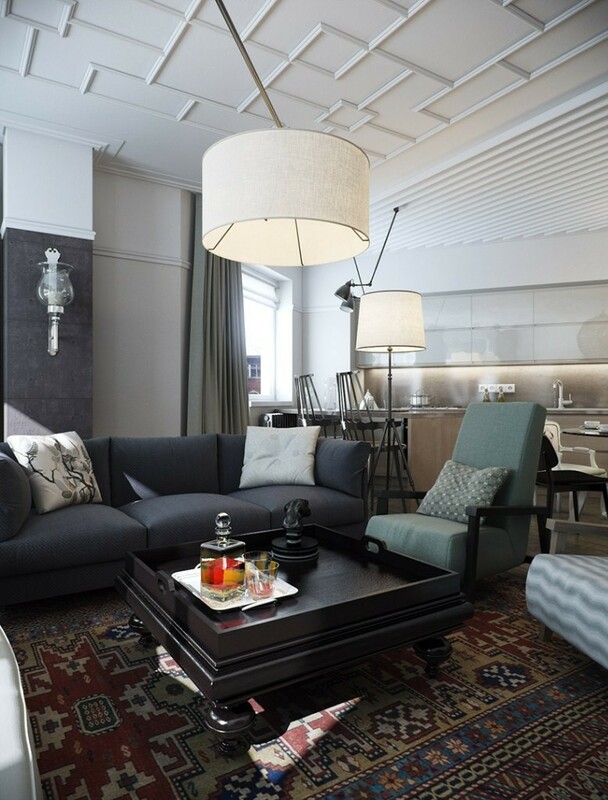 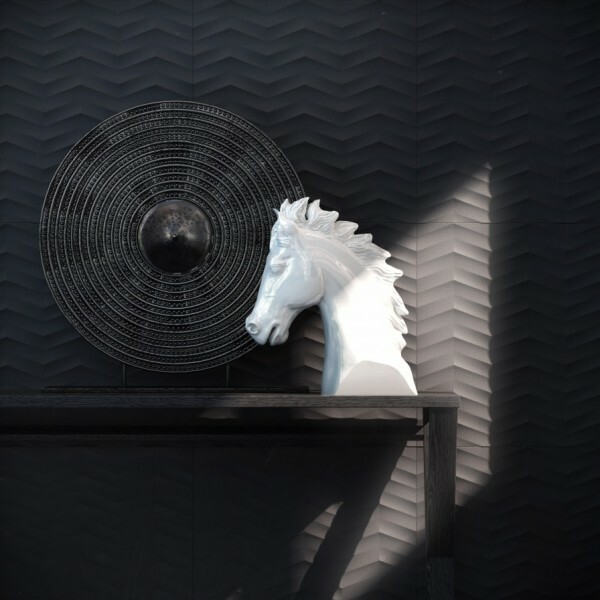 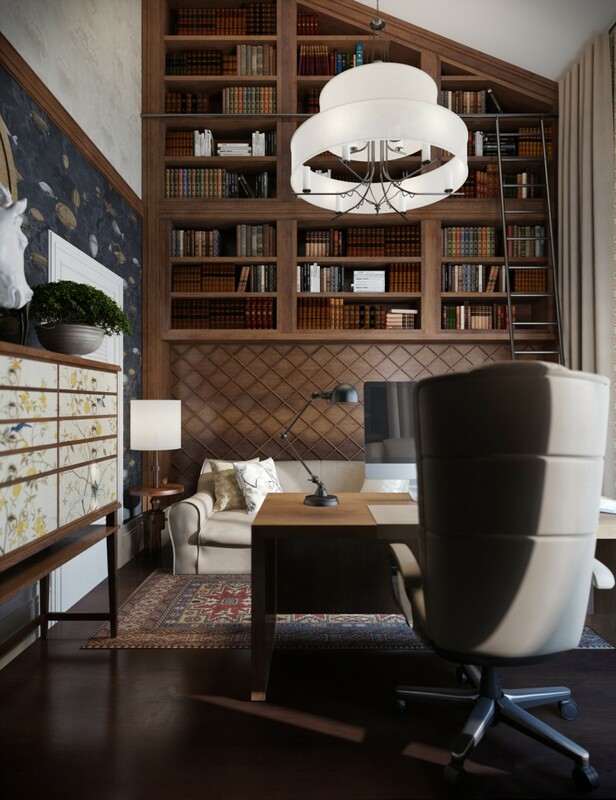 Today, we are featuring some gorgeous interior choices from Russia-based 3d artist Vladimir Bolotkin. 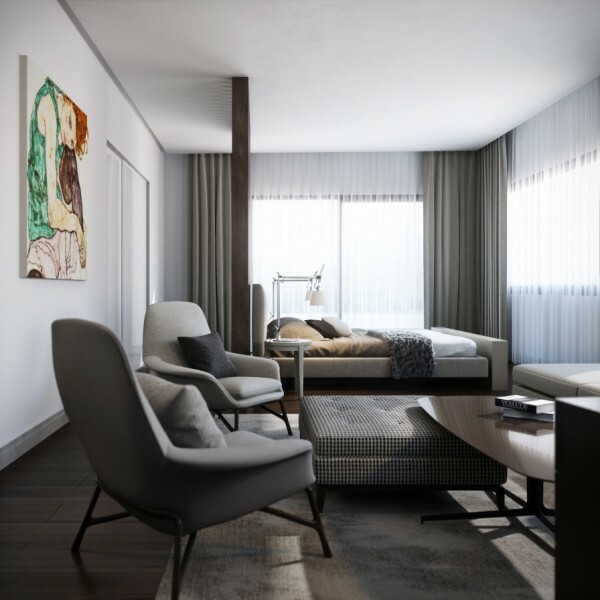 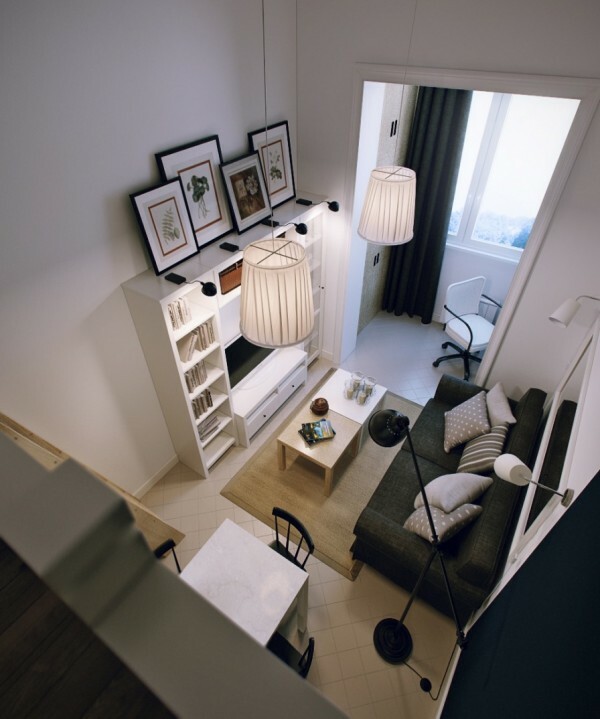 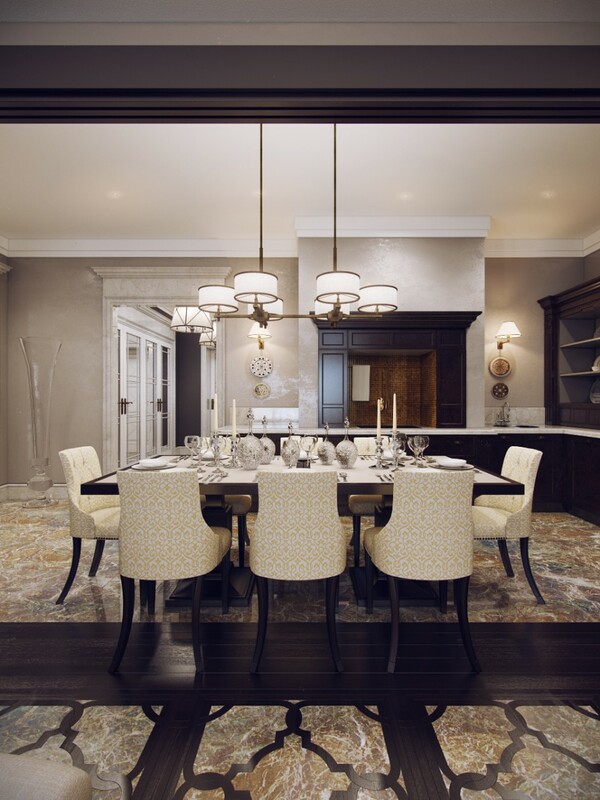 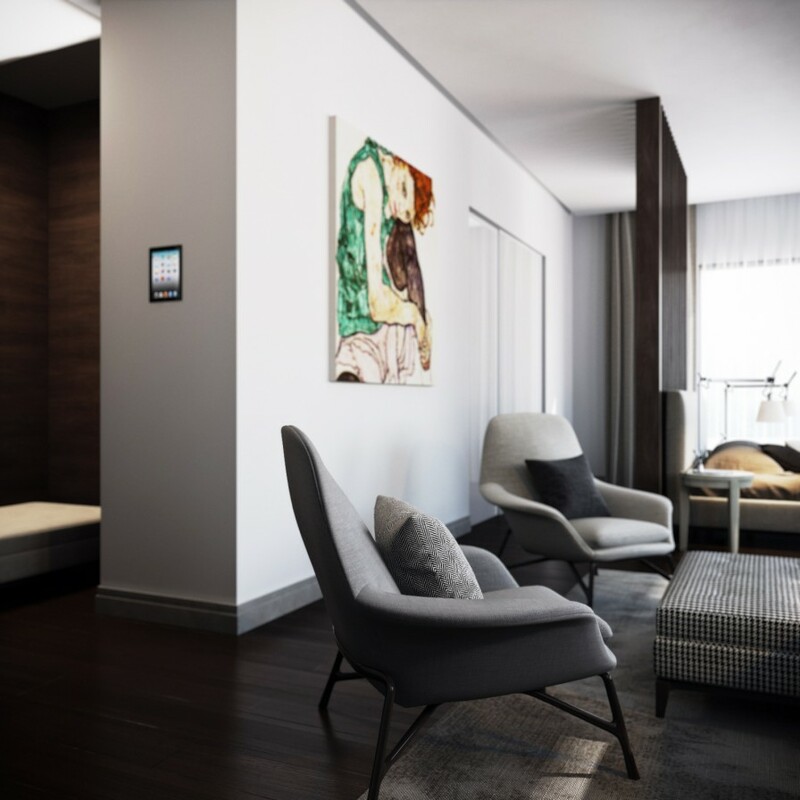 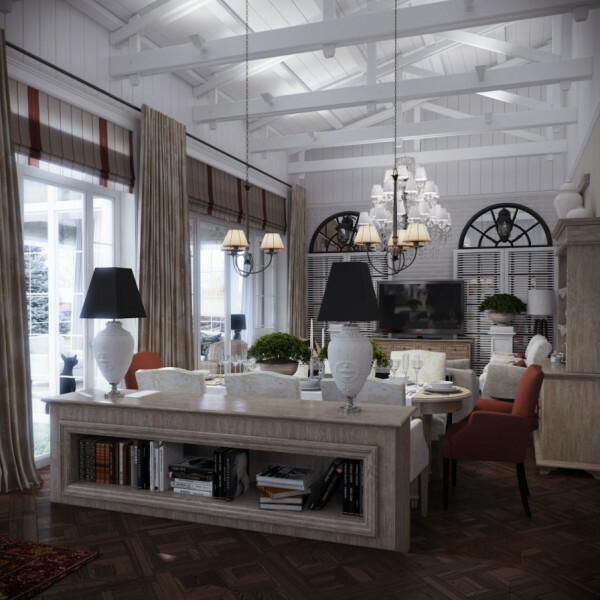 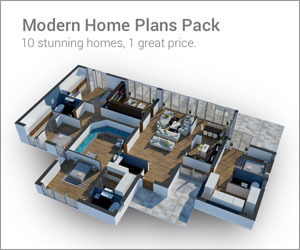 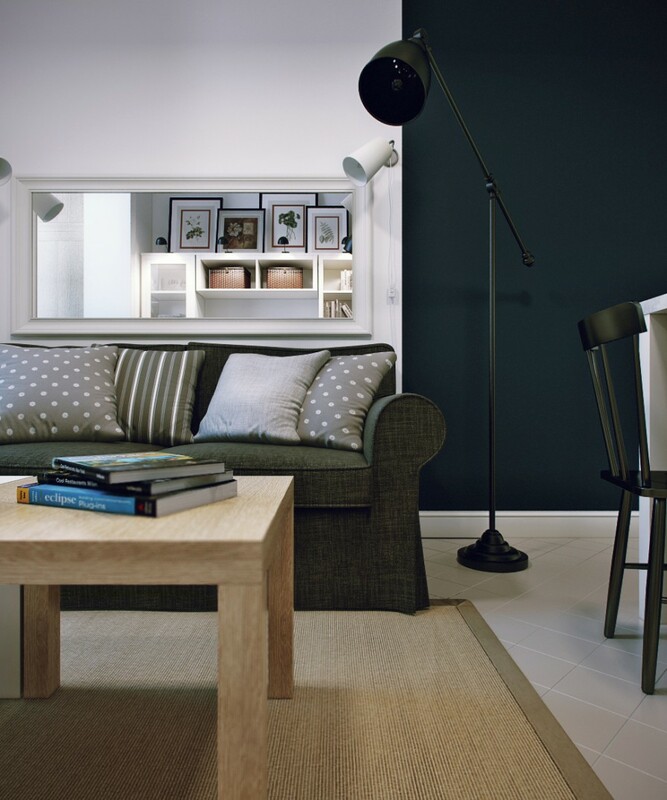 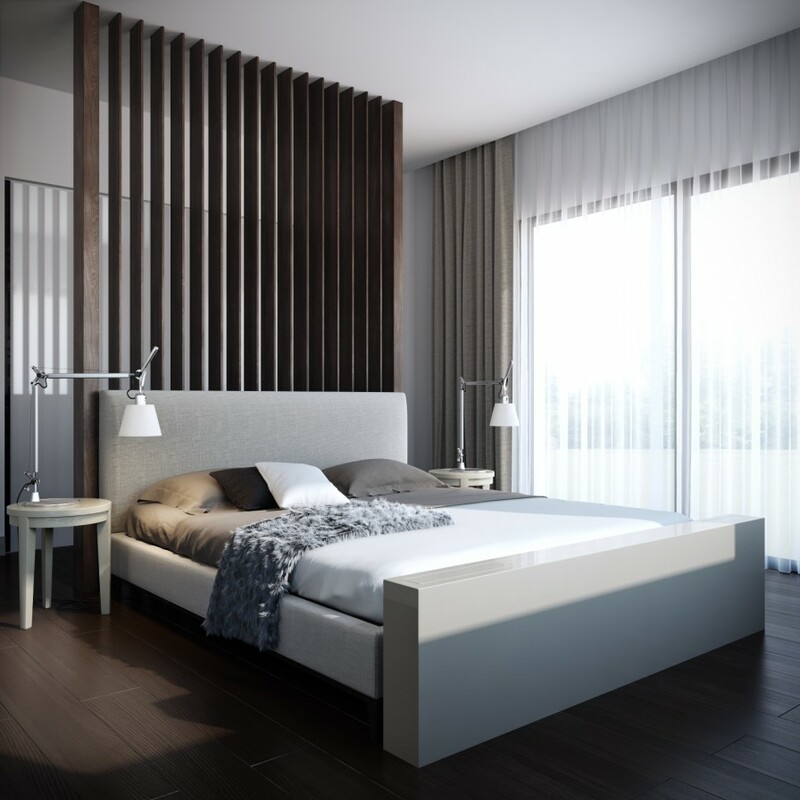 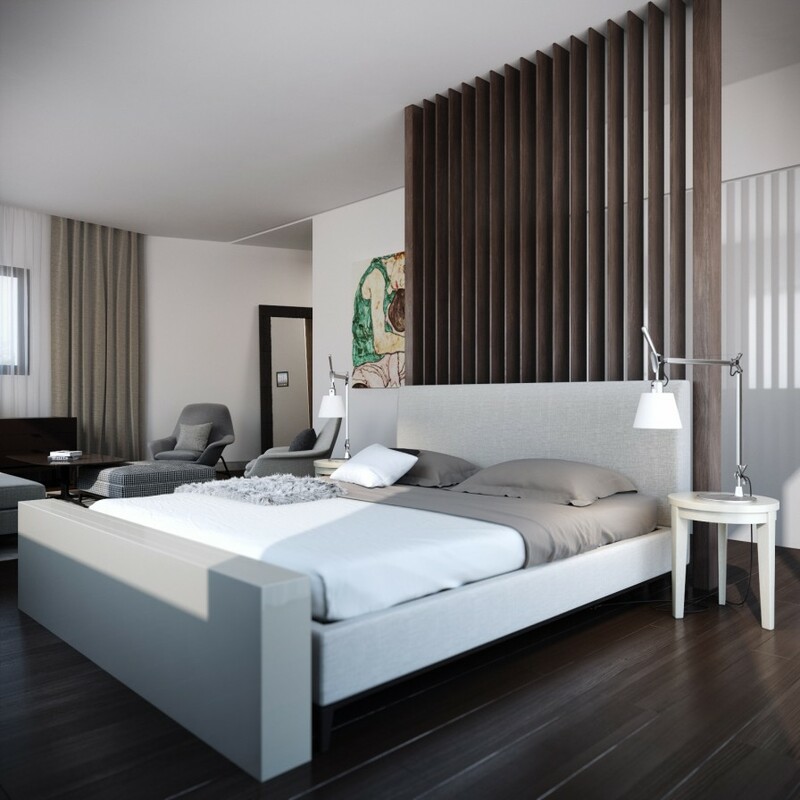 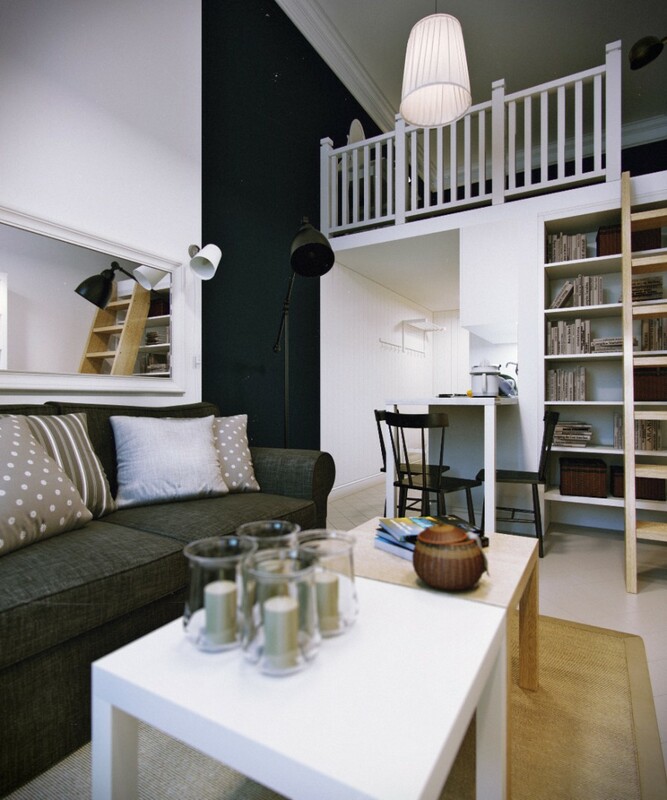 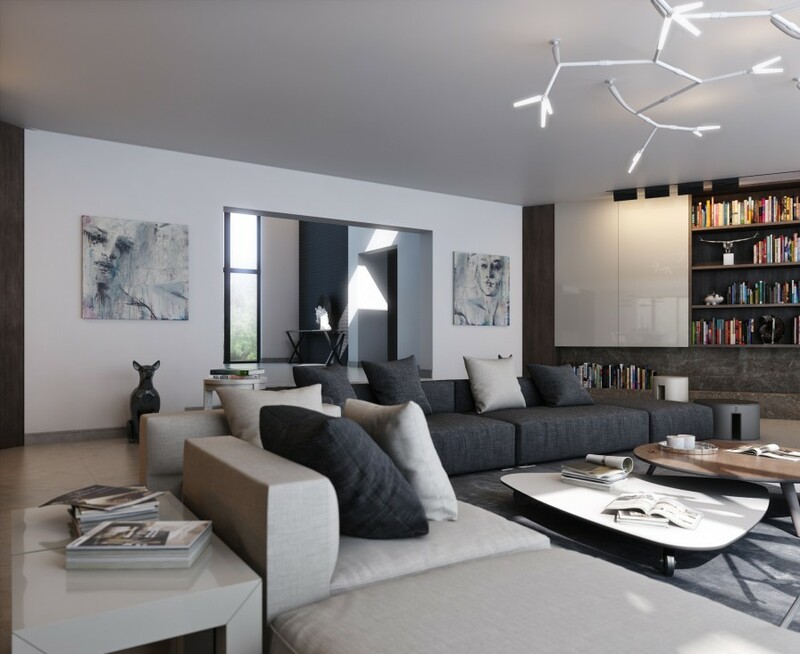 With a keen eye for elegant lighting solutions and plush furniture, these interiors are welcoming and clean without skimping on practical concerns like storage and seating. 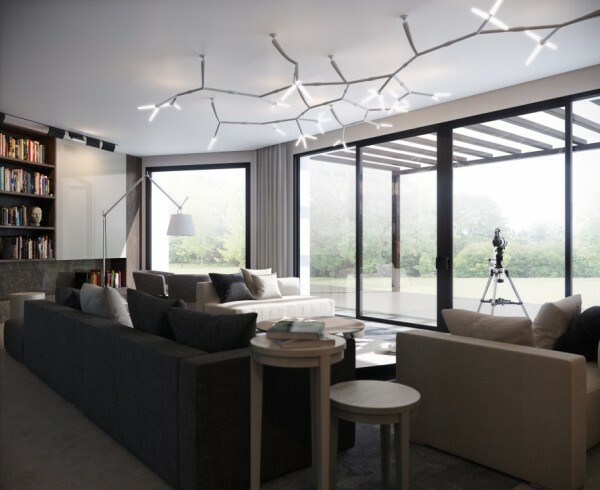 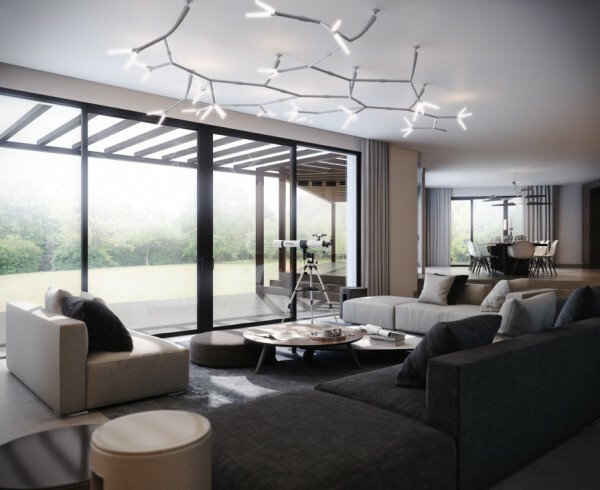 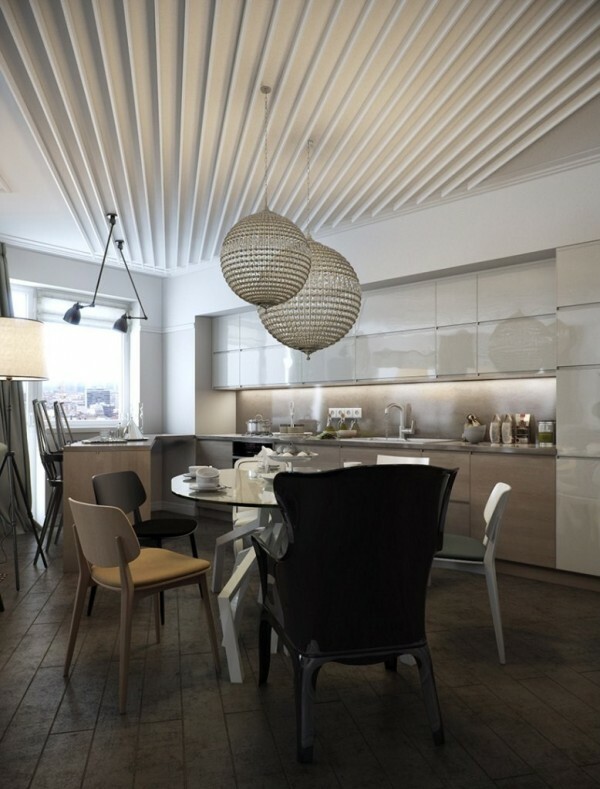 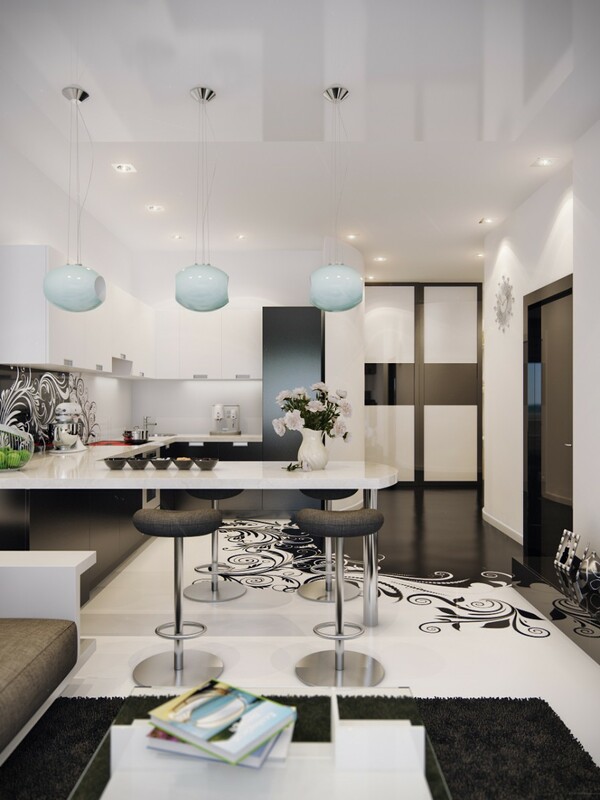 The focal point of this living are is a creative sculpted light fixture that hands from the ceiling. 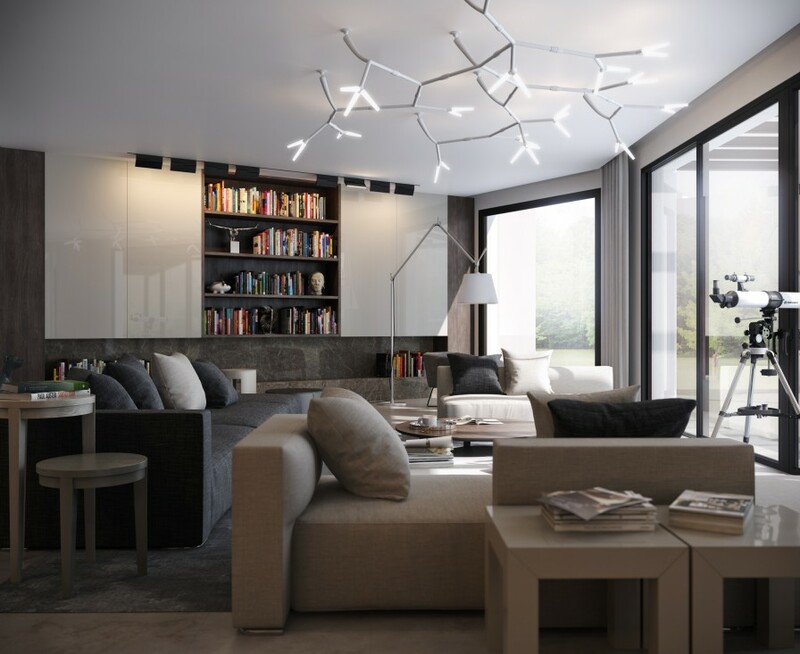 With bulbs branching out at every angle, the fixture is reminiscent of a futuristic tree. 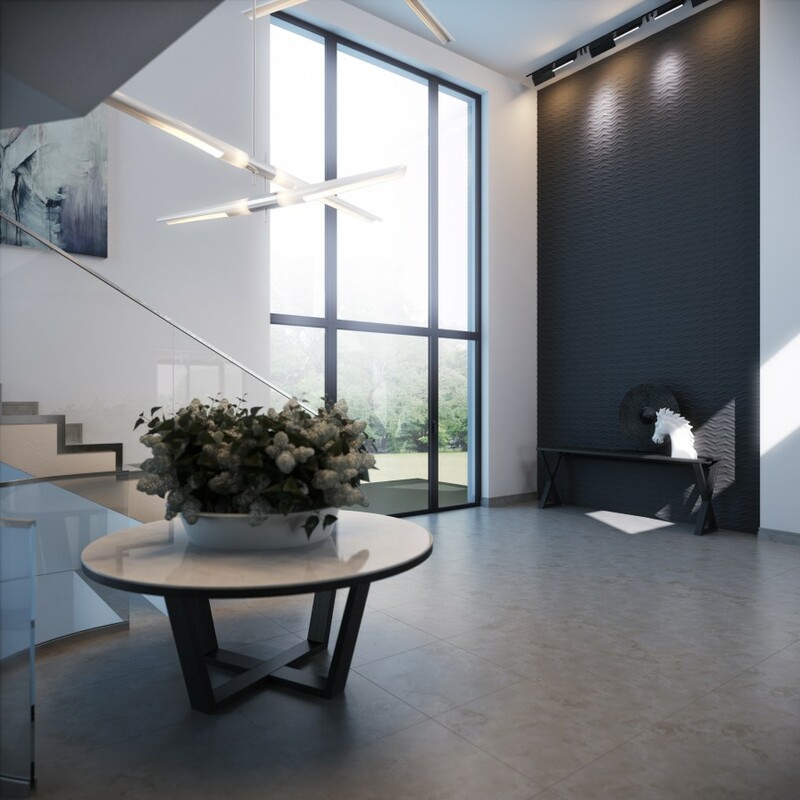 An elegant entryway can set the tone for a whole home. 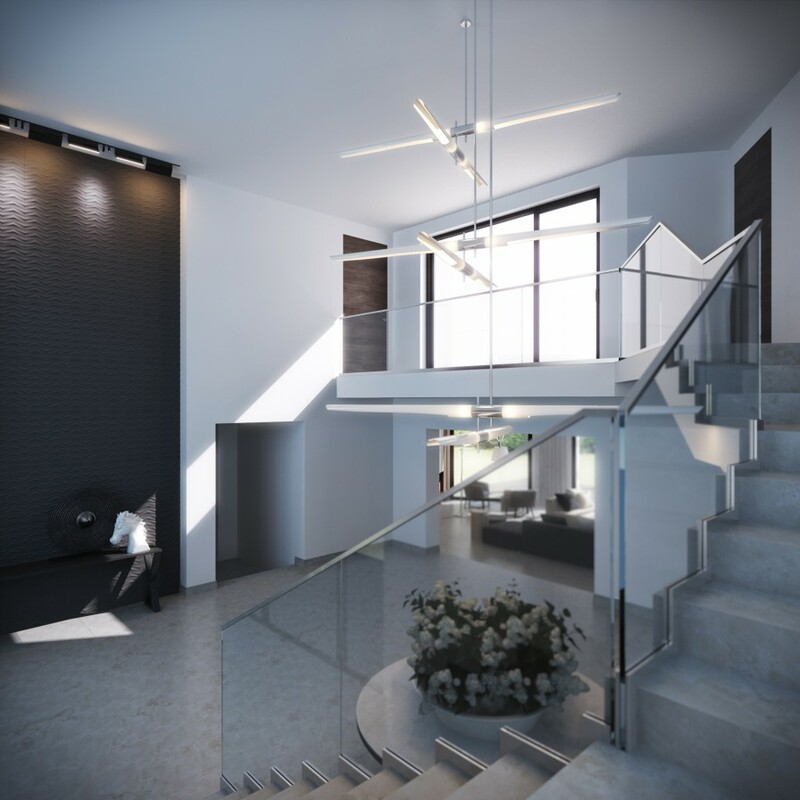 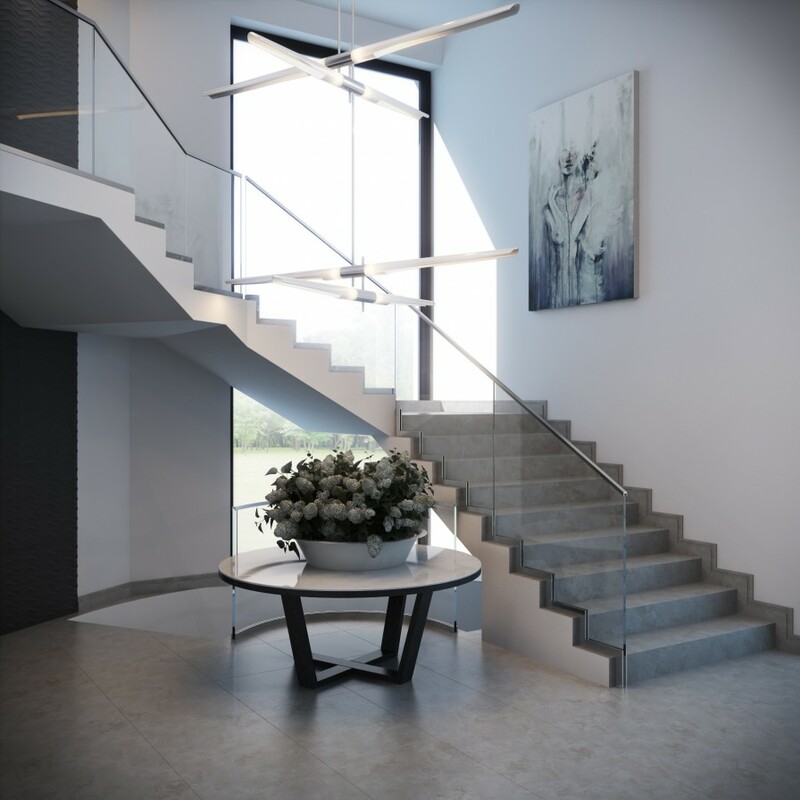 This sweeping staircase with a modern glass rail is simple but edgy. 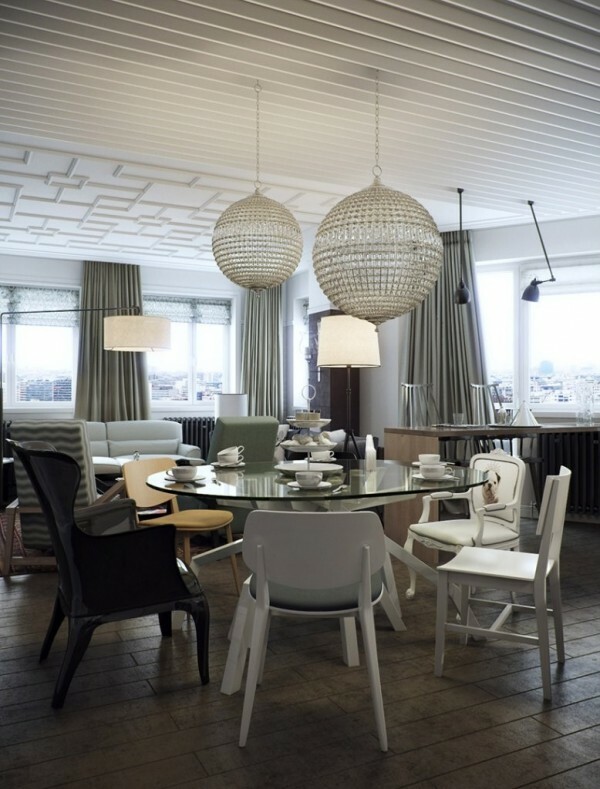 These simple white dining chairs could easily adorn a classroom. 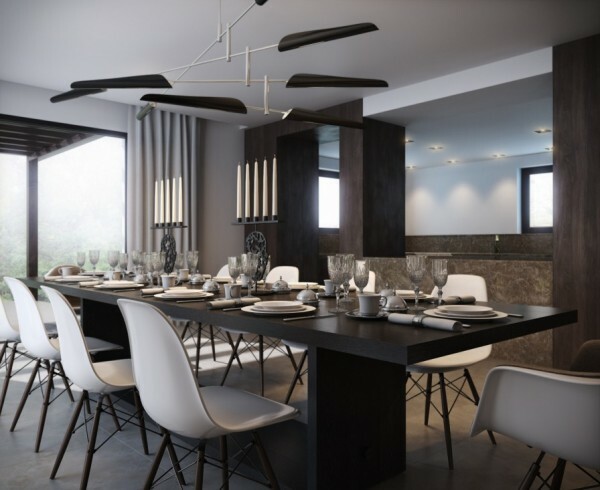 Marrying the highminded style of candelabras with the accessible simplicity of the chairs adds interest to this contemporary dining room. 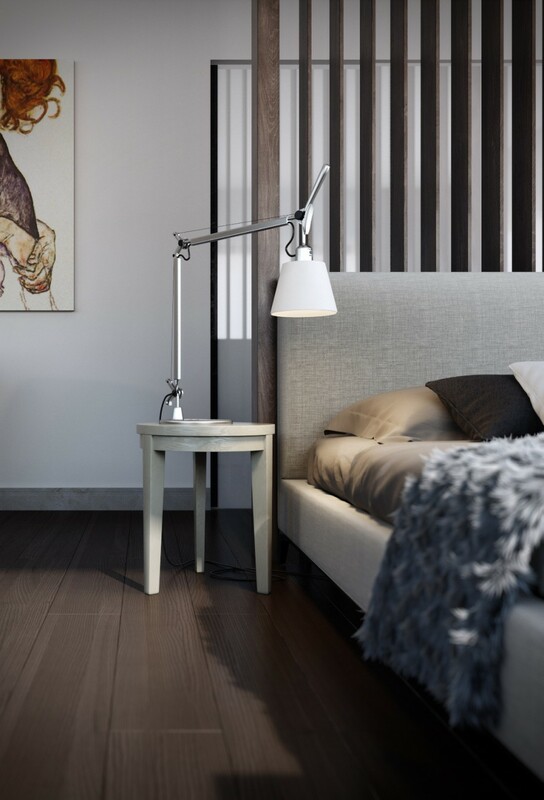 A bedside table lamp can be a necessary evil. 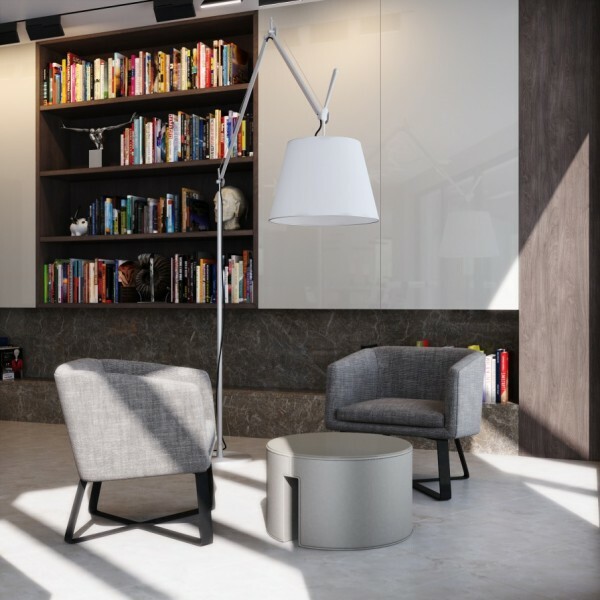 The industrial style of this silver arm lamp is both modern and timeless. 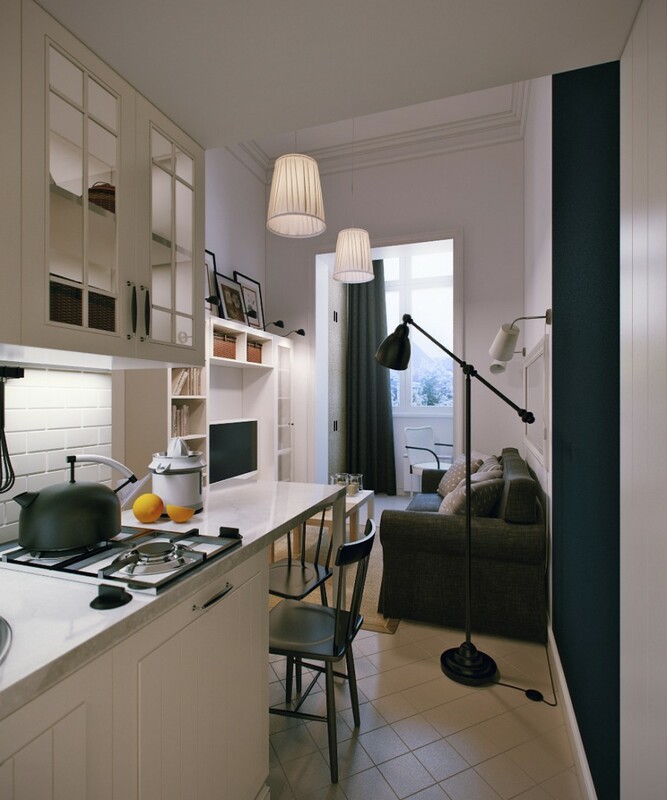 For a couple or roommates, a stylish breakfast bar can easily take the place of a full on dining room. 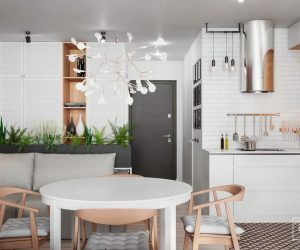 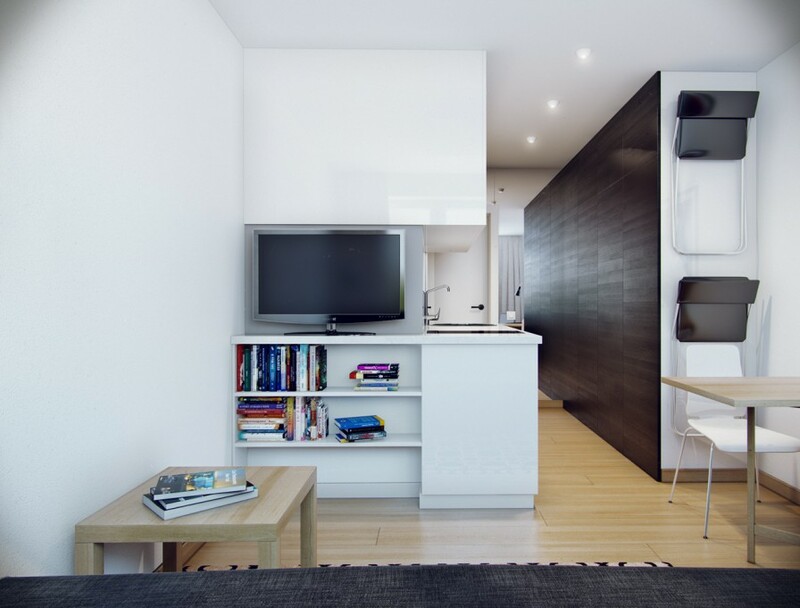 These padded stools and sleek white countertop is clean and comfortable without taking up too much precious space in this monochromatic apartment. 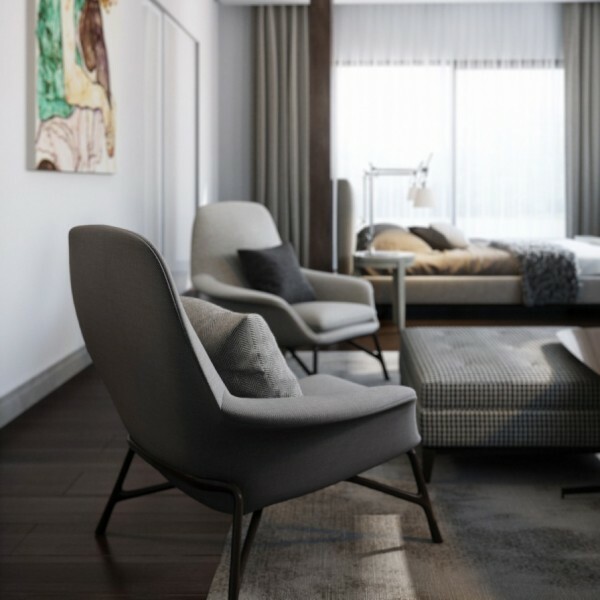 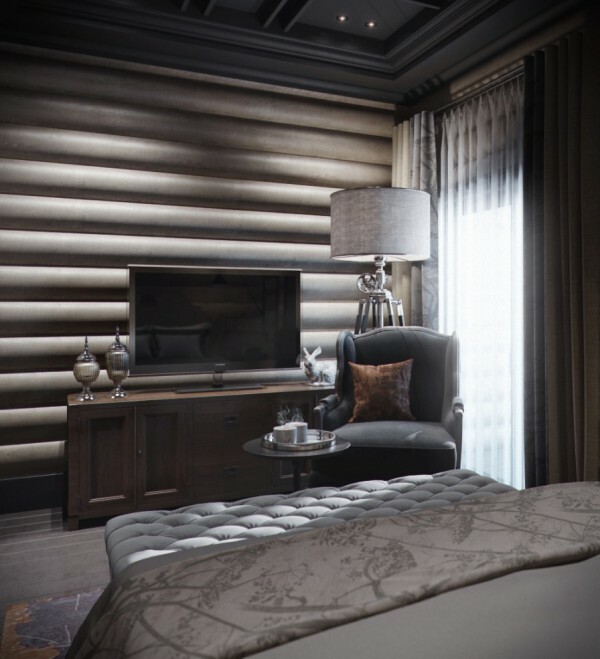 A chaise lounge in the bedroom is a luxurious indulgence. 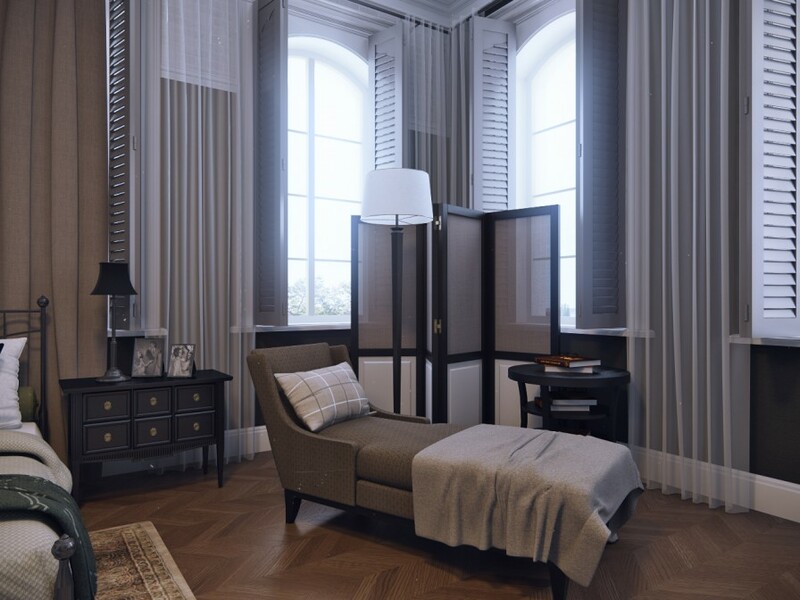 A simple place to read, relax, or nap without leaving your comfortable privacy. 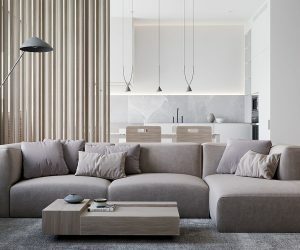 This conversation pit, complete with sleek gray armchairs and a checked ottoman would certainly welcome many discussions. 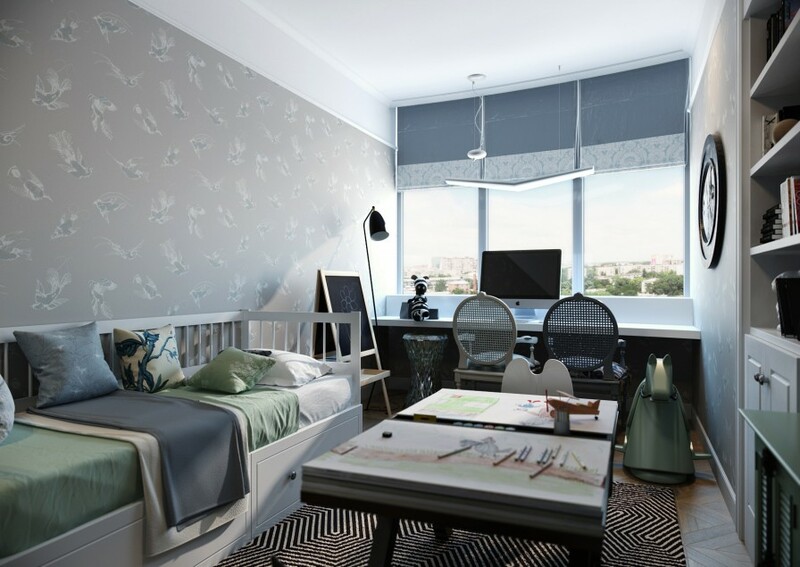 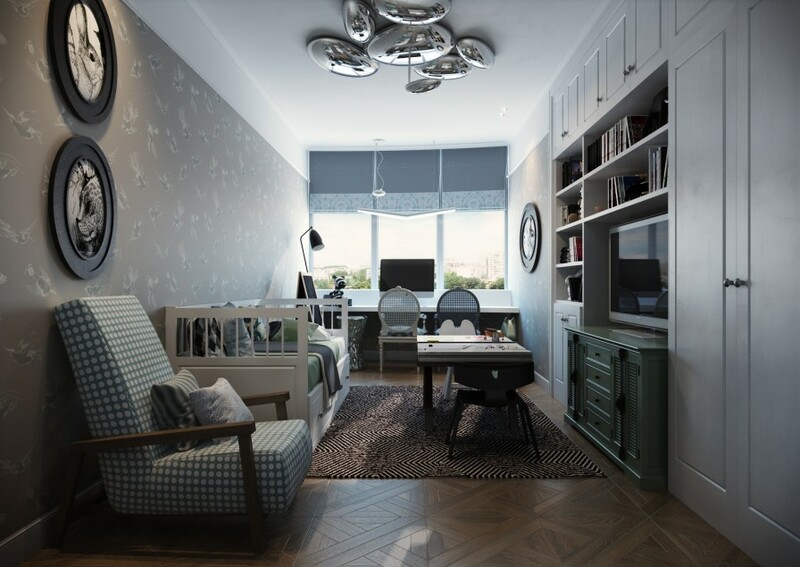 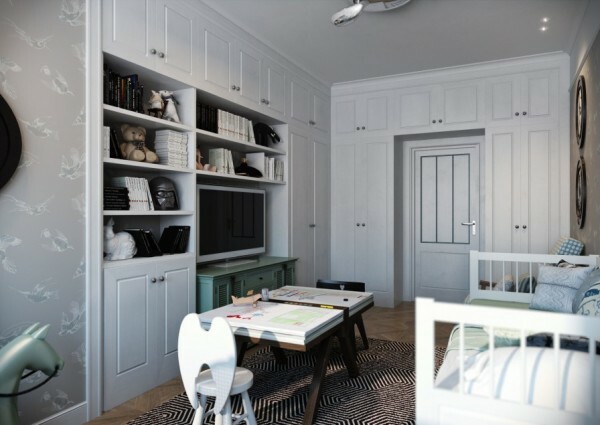 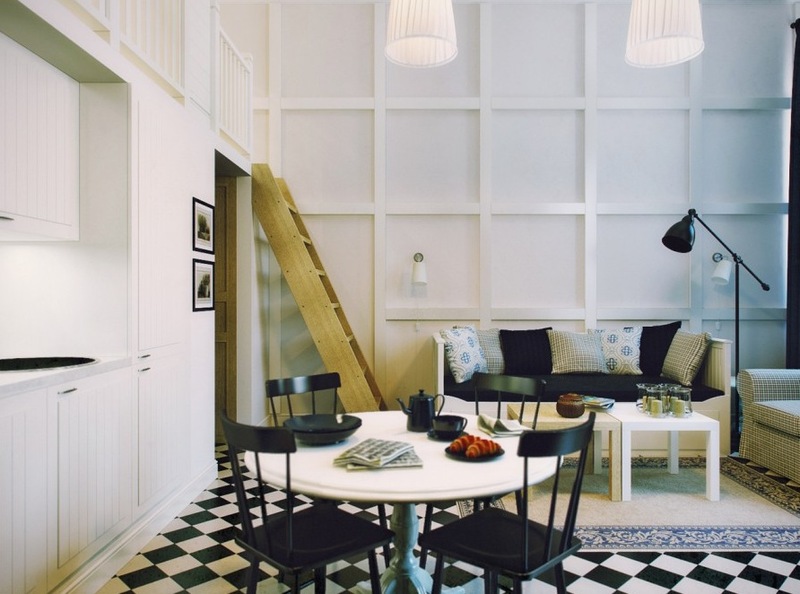 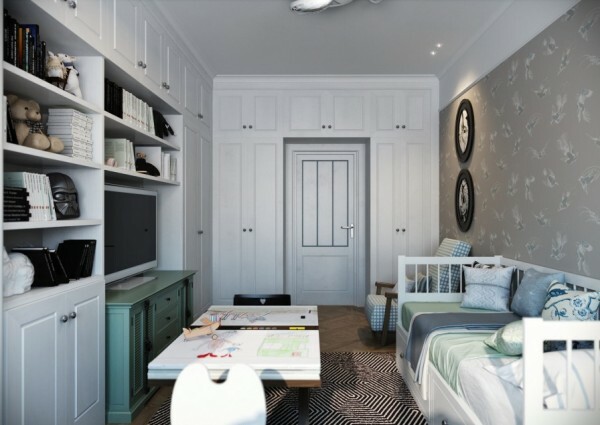 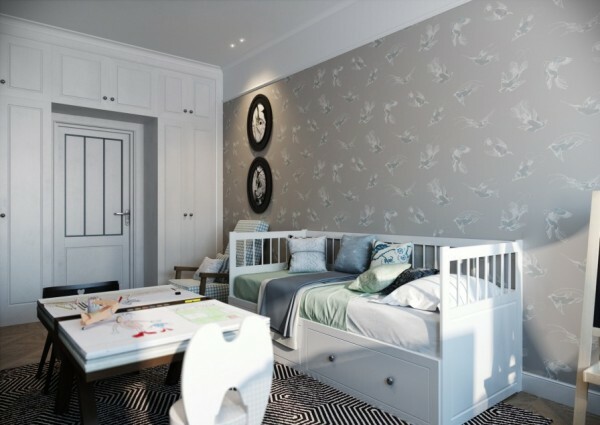 This kids room proves the versatility of the designer from the ultra modern to country chic with massive built in cabinetry and crisp white furniture. 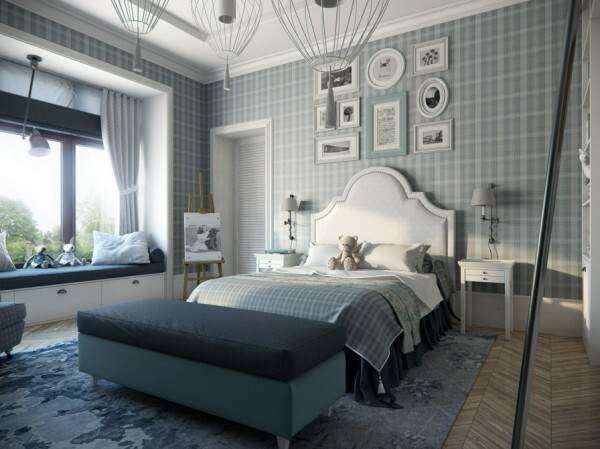 The cool blue tones and creative pattern use in this bedroom make it the perfect transition room for a young girl.